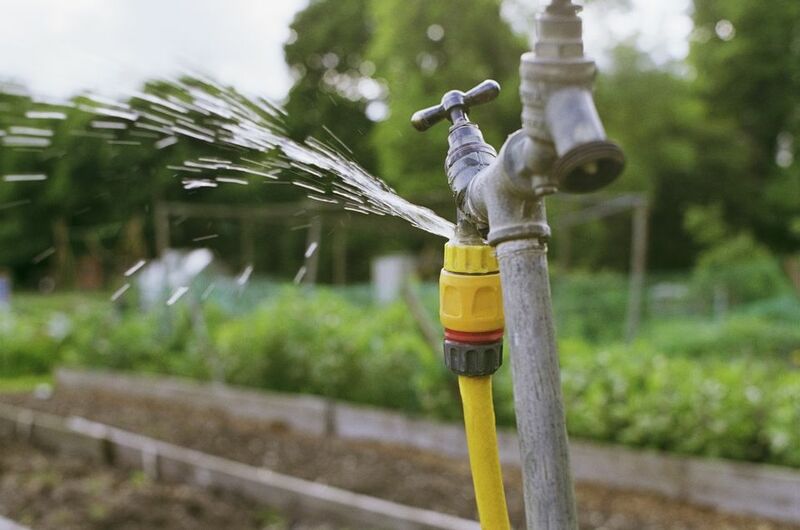 A leaky hose and a leaky hose bib are not only annoyances; they can also waste quite a bit of water. To fix a leaky hose bib the first thing to do is locate exactly where it is leaking from. There can be a leak in the handle area, or packing when the hose bib is turned on. Another type of leaky hose bib is one that will not shut off all the way, it will leak constantly even though the hose bib is shut off tight. If the housing of the hose bib is cracked or water is coming out somewhere else other than between a joint then you will most likely have to change the hose bib to repair it. The first thing to try is to just tighten the packing. Take pliers or wrench and tighten the outermost nut which is right after the handle. The water does not have to be shut off to tighten this. You can turn the faucet on and try and tighten it with the water running to see how much to tighten so that it stops leaking. Do not tighten so much that it makes it really hard to turn the handle on and off. If this works then nothing else needs to be done. With normal use over the years, the packing may need some tightening any time you see spraying water when the hose bib is turned on. If tightening the packing is not enough to stop the leak you will need to replace or add packing. Shut off the water because this repair will be much easier with the water turned off. Remove the handle so you can get to the packing nut. With pliers or a wrench loosen and remove the packing nut. You can repack the area with a graphite or Teflon packing or even a bonnet washer if you can find one that is the right size. Tighten the packing nut back on and re-install the handle. Turn the water back on and see if that worked for you. The first thing to do here is to shut off the water. You will remove the bonnet nut on the hose bib with pliers or a wrench. This may be easier if you remove the handle and the packing nut first but it is not always necessary. Unscrew the bonnet nut until the stem comes out. You can now see the washer at the bottom of the stem. Change this washer. You may need to bring the washer with you to the home improvement or hardware store so that you can easily match up the size. With the new washer installed tightly put the stem back and screw the bonnet nut back in. Then put the handle and packing nut back if you removed them. Turn the water back on and test for leaks. If the hose bib still leaks after replacing the washer then you may need to replace the hose bib.